Black Castor Oil 100% Pure Refined Pharmaceutical Grade product is Refined, which means it’s going to have no odor and a much lighter color. This product is also know as Jamaican Black Castor Oil (JBCO), called so because of the region it originates from. Legend has it that the black castor oil is black in color because it is more concentrated, natural and less processed. However, this is so not true. The reason behind the castor oil being black is because the castor seeds are roasted, and the roasted ash that remains from the process is added into the oil taking it from its original yellowish color to its darker variation. 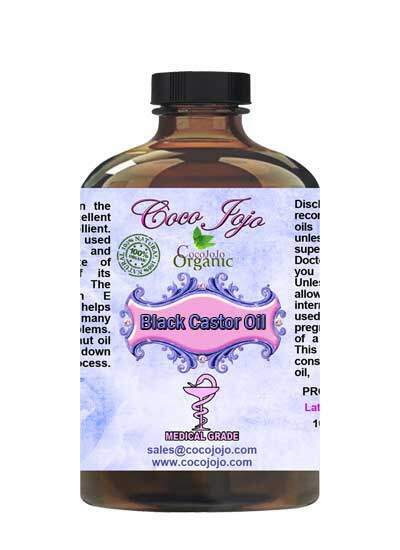 The black castor oil is more commonly referred to as the Jamaican Black Castor Oil (JBCO), since the process of adding the ash from the roasted seeds originated in Jamaica. For Hair- Black castor oil contains omega-3 fatty acids that are essential for good hair. Black castor oil moisturizes the hair, aids dry scalp. Its emollient property helps soften the hair. Check out the many cool ways to use black castor oil for skin and hair! 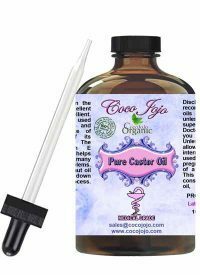 For Skin- Black castor oil is the natural, unprocessed version of castor oil. It provides many benefits to the skin. The omega-3 fatty acids help clear skin and tighten the pores. There are many other benefits of black castor oil for skin. Black castor oil contains Vitamin E, which helps clear blemishes. It is an effective skin cleanser!